Jefferson Doman arrives at Hurdy-Gurdy, an abandoned mining site and sets up his claim upon a grave in the abandoned cemetery. He has come here after hearing from an old friend that this is where the friend had buried his treasure. The grave is of a local woman named Scarry who was supposedly horribly marked in some way. Doman, himself, had set out years ago to make his fortune in order to return and claim his love, Mary. However, over the years, Mary had renounced their love fro she had gotten into various trouble and in the course of it been physically marred. She sent him a picture revealing the deformity. This is itself did not dissuade Doman but made him more vigilant to return to her someday. He finished digging up the grave in the late night and thus had the pleasure of playing with dead things in the dark. As he stands up the casket, he realizes that it was put in face down, so when he stands it up in the hole he has dug, the body is positioned towards him. This wouldn't matter much but the casket breaks open and he comes face to face with the corpse, believing for some moments that it may indeed be his Mary. Some time later, a group of rich folks are trekking through the region and the lead man wants to visit the campsite since he had made his fortune there years before. When they visit, they find themselves at the graveyard and discover the disturbed site. They find two skeletons intermixed and under that, they find fool's gold where the stash was supposed to be. The wife of the leader man wanders away from the disturbing scene and finds Doman's long abandoned jacket. She opens it and sees the two pictures of Mary. When the rest of the group comes to check her out, they discover her dead and it is revealed that she was Mary. 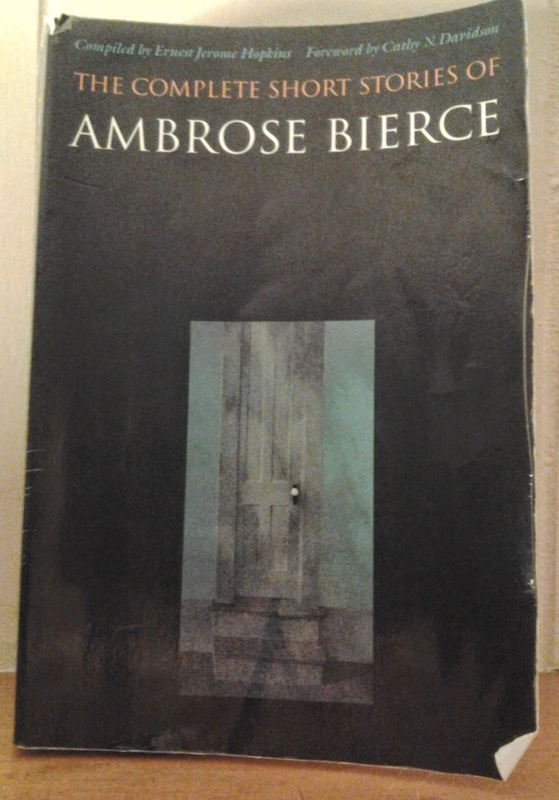 This story had a lot going on and it was one of the best in the horror tales by Ambrose. It's unclear but I have a suspicion that Scarry was also the mining town's prostitute as there is reference to many men but few women and various men contributed to her grave. That Doman's adventure in the end turned out to be for fool's gold was rather amusing.